In Costa Rica’s runoff, Carlos Alvarado beat Fabricio Alvarado. That is a relief. Fabricio ran his campaign mostly around stifling gay rights, and polling had the race very close. In fact, most polls had FA ahead (see the poll summaries at Wikipedia). However, at 60.6% to 39.3% for CA, it was not close at all. This runoff followed an extraordinarily fragmented first round, in which four candidates had votes between 15% and 25%. FA led the first round, with 24.99% to CA’s 21.63%. The candidates of the two older parties (PLN and Social Christian Unity) came in third and fourth. 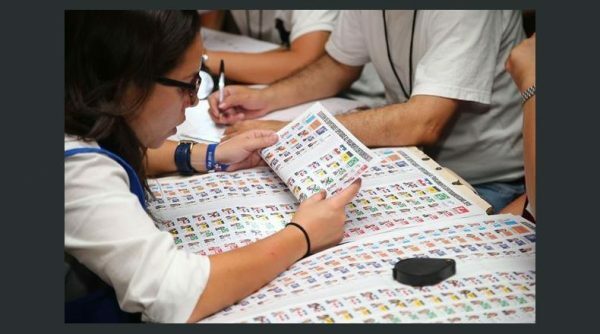 Costa Rica’s rules since the current regime was founded in 1949 have required a runoff among the top two candidates if the leader did not clear 40% of the vote in the first round. Because of the country’s historic two-party system (with some additional trailing parties), a runoff was never required until 2002. The party system has changed dramatically in recent cycles. A runoff was narrowly averted in 2006 (winner with 40.9%), and was next required in 2014 (leader with 30.6%, and runner-up with 29.7%, although the runoff contender, from the PLN, quit the race), and now in 2018. Carlos Alvarado was nominated by the party of the incumbent president (Luís Guillermo Solís), the Citizens’ Action Party. This party has established itself as a major party in that it has passed the test of electing not one, but now two, different presidential nominees. Moreover, it has finished ahead of both of the old parties in two consecutive first rounds and ahead of at least one of them in four straight elections. The runner-up candidate’s party, on the other hand, is a newer one. The National Restoration Party was contesting only its second presidential election (though it won congressional seats in 2006), and in 2014 its candidate managed under 1.4% of the vote. The now more fragmented political scene raises the obvious question of how President-elect Carlos Alvarado will be able to govern. The Costa Rican presidency is one of the weaker ones among pure presidential democracies, and as the congress was elected concurrently with the first round, reflects that round’s fragmentation. The president-elect’s party, Citizens’ Action, has only the third highest seat total in the Legislative Assembly. It won 16.3% of votes and 10 of the 57 seats (17.5%). The leading party will be the old PLN, which won 19.5% of the votes (compared to 18.6% for its presidential candidate) and 17 seats (29.9%). The National Restoration Party finished second (as it did in the presidential first round) with just over 18% of the votes and 14 of the 57 seats (24.6%). The Social Christian Unity Party won 14.6% and 9 seats. No other party has more than 4 seats, and the total number of parties represented is seven. Notably, even if he strikes a deal with the PLN, the president will not have quite enough to control the assembly: such a coalition would be two seats short. The election results will pose a governing challenge, but at least the requirement for a second round has led to the better Alvarado being elected. 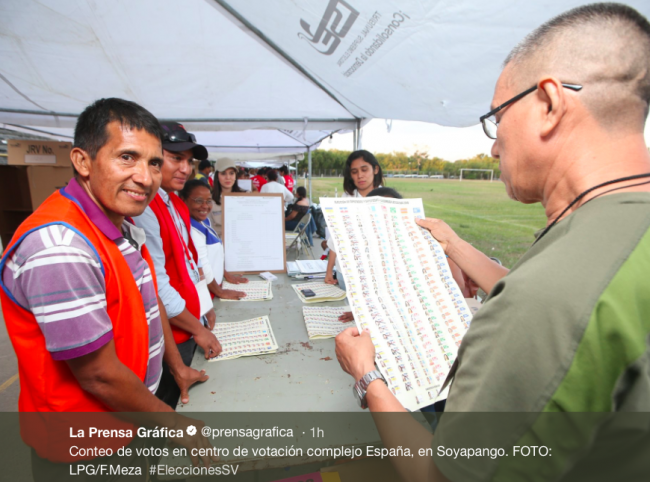 The Salvadoran result 2018: The electoral cycle counts! Before the assembly election in El Salvador, I suggested that the FMLN should be expected to win 24.2% of the vote. I hedged, saying I thought the Salvadoran party system probably was still too rigid to allow one of its two leading parties to fall off that far. I should not have hedged, because the preliminary results show that the largest party will be the opposition ARENA, which won 42.3%. The FMLN got 24.4%. How about that. I was off by a tenth of a percentage point in my pre-election prediction! I now realize that I made an error in calculating my expectation of 24.2%. I based the expectation on the fact that the FMLN is the party of the incumbent president, that this election was being held with 80% of the president’s inter-electoral time lapsed, and the president’s own (first-round) vote total (in 2013). It was in the latter factor that I made a mistake, using 39.0%; that was the ARENA total, but the FMLN candidate, Salvador Sánchez Cerén, had 48.9%. Plugging that into the formula (shown below), I should have “expected” the FMLN to get 30.3% of the vote in this past Sunday’s assembly election. So the party actually did a good deal worse than the corrected expectation. And I did worse in my prediction. Perhaps the party system is no longer so rigid; one of the leading parties can fall below a quarter of the votes after all. Alternatively, as I shall explore here, perhaps I made a second countervailing mistake, which was not to include a coalition partner. If we add the votes of GANA, a center-right party but one that has supported FMLN presidencies since 2010 and, importantly, did not compete against Sánchez Cerén in the presidential contest, we get 35.9%. That’s greater than my (corrected) expectation of 30.3%, but somewhat closer to it than the FMLN’s own vote. I will return to this issue of party vs. alliance later. The FMLN’s 24.4% is its worst showing in the votes for assembly since its debut election in 1994 (21.4%); that election was concurrent with the presidential election and the party ran just behind its presidential candidate (24.9%) who was a very distant second. Since then, the party has won 33.0%, 35.2%, 34.0%, 39.7%, 42.6%, 36.8%, 37.2%, and now 24.4%. The party’s high-water mark was 2009, the “counter-honeymoon” election that presaged the leftist, ex-guerrila, party’s first presidential win a few months later. * Then, holding the presidency, it slipped in 2012, an election held with about 60% of the president’s term elapsed. In 2014, it won the presidency again, then held its own in the 2015 election, held with 20% of the new president’s term elapsed. GANA first appeared, as a split from ARENA, in 2010, just under a year after the election of the first FMLN president. It has now run in three assembly elections staring with 2012, and its votes have been 9.6%, 9.2%, and 11.5%. Interestingly, it gained in 2018 even while the FMLN lost badly. If we add the two parties’ votes together for the last three elections, we get 46.4% (not much less than Sánchez Cerén’s own percentage in 2014), 46.4% (yes, again) in 2015, and 35.9%. That is obviously a sharp decline in the two parties’ combined votes, even if one of the partners did experience an increase. FMLN and GANA will now will have a third of the assembly seats, whereas they held half the seats after both the 2012 and 2015 elections. What led to the sharp decline this time? Many political factors, no doubt. But what really counts is the elapsed time–an election this late in a presidential term tends to be bad for the presidential party–or alliance. The FMLN in 2018 is just the latest example of an effect I first researched in my dissertation (1988) and published about in the APSR in 1995.
where Rp is the “presidential vote ratio”– vote share of the president’s party in the assembly election, divided by the president’s own vote share (in the first round, if two-round system)–and E is the elapsed time (the number of months into the presidential inter-electoral period in which the assembly election takes place). The key question around which this post is based is whether we should mean “party” literally as the party of which the president is nominee, or if we should include supporting parties that do not compete against the candidate. If you think it is cheating to use the alliance, I am being transparent and reporting the party totals. If you think it is OK to use the alliance when the two parties in question do not compete against each for presidency and cooperate in the assembly–despite running separately–we can compute the totals that way, too. This is the second nonconcurrent assembly election I have watched closely since Rein Taagepera and I developed the formula for our book (published in October, 2017). The other was in France. In April, 2017, I “predicted” that the brand new party of Emmanuel Macron would win around 29% of the vote. This was the day after the first round, and assuming he would win the second round (which he did, easily). At the time, much media commentary was of a hand-wringing character: Macron would be weak, maybe even face cohabitation, because he didn’t have any party to speak of. I said no, the electoral cycle will ensure he gets a good boost in votes in the assembly election. An elapsed time (E) of 0.017, an extreme “honeymoon” election, would almost guarantee it. So, that’s two elections in the past year called (more or less) correctly, within a few percentage points, based only on the elapsed time and the president’s own initial vote share. I still hesitate to call this a prediction, because the parameters in the formula (1.20 and 0.725, above) are not themselves based on deductive logic. And perhaps I also should hesitate because of the ambiguity over party vs. alliance, as discussed in this post. But there just may be something to these electoral cycle effects, after all. * The 2009 presidential election featured only two candidates. So the party’s presidential vote was inflated due to the abstention of all but the two big parties from the presidential race that year. This is the only time smaller parties have not contested the first round. As I said at the time, the decision by the then-ARENA majority to shift from a concurrent to counter-honeymoon assembly election that year converted the assembly election into a “de-facto first round of the presidential election”. The right got spooked, perhaps, by the strong showing of the FMLN, and did not want to risk a division, even in the two-round election. The left followed suit and, with a sole candidate, narrowly won. ** In the 2015 election, based on the new president’s 48.9% of the (first round) vote in 2014 and elapsed time, E=0.20, we would have expected a votes ratio Rp=1.055. That would mean an assembly vote percentage of 51.6%. The FMLN itself won only 37.2%, but if we include GANA, as noted, we get 46.4% (Rp=0.949), which is a small under-performance. (Consequential, of course, as they failed to get the majority predicted.) How about one election farther back in the cycle? In 2012, GANA existed, but that party had not existed at the time the then-incumbent president of the FMLN was elected. So we certainly can’t include it in the calculation for 2012! For that election E=0.60, and so expected Rp=0.765. The president had won 51.3%, so we’d expect the FMLN to have won 39.2%. It actually won 36.8% (observed Rp=0.719), so it did only a little worse than the formula suggests it could have expected. 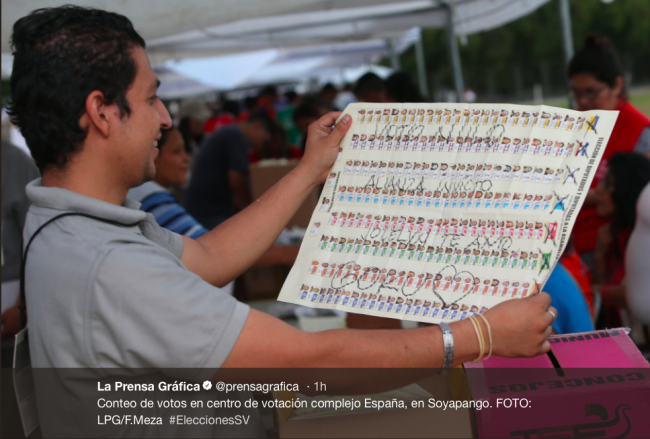 Thanks to the really wonderful Twitter feed of La Prensa Grafica, following are some photos of voted ballots from El Salvador’s assembly elections of 4 March. The ballot format is “free list” under which it is a party-list proportional-representation system, but unlike other types of list, the voter can give preference votes to candidates nominated on different lists (a feature sometimes known as panachage). Here is one that is marked for candidates in several different lists, but none in the government-supporting parties, FMLN (red) and GANA (orange). Here is one that marked all of the candidates in the ARENA party. That’s a lot of work! A voter who wants to vote a straight ticket can simply put an X over the party symbol at the top, and it counts the same as a vote for each candidate on the list. Now here is one whose vote will count for no one, but the voter had fun making statements. Under the free-list system, a party’s votes is the sum of all the preference votes its candidates receive (including the label votes counted as one for each candidate on the list). Any preference vote thus contributes to the list’s pooled vote total for purposes of calculating seats per list. If a voter does not cast all M votes (where M is the district magnitude), that voter is sacrificing a percentage of his or her entitled voting weight. This process also means that calculating national party vote totals is not straightforward. I am not sure what method of weighting votes across the varying-magnitude districts is used in El Salvador’s official reporting of national totals. El Salvador has its nonconcurrent assembly election on 4 March. (Also, municipal elections on the same day.) There are not very many pure presidential systems that have assembly and presidential elections nonconcurrent; this is one of many reasons why El Salvador fascinates me. Another is the enduring relatively rigid division of the party system between the ex-guerrilla FMLN and the right-wing ARENA parties. Yet another is the free-list (panachage) system adopted in 2015. It makes for pretty big ballots! El Salvador has presidential elections on a five-year cycle and assembly on a three-year cycle. Since the current regime was established in the early 1980s (in the midst of the civil war), elections have occurred in the same year twice. In 1994 they were concurrent. In 2009, the right-wing bloc in the assembly moved their own election up ahead of the presidential, making for a counter-honeymoon election. In the most recent assembly election (2015), ARENA won 32 seats to the FMLN’s 31 (the assembly size is 84). In the most recent presidential election (2014), the FMLN candidate, Salvador Sánchez Cerén, won the two-candidate runoff with 50.1%. As I said, it is a closely divided party system! One factor that makes it less rigid than it once was is the emergence of GANA, which split from ARENA after the election of the first FMLN president (Mauricio Funes) in 2009. The emergence of GANA can be seen as an example of “presidentialization” of the party system, in that it was a splinter from the former presidential party to support the new president from the other side of the political divide. GANA remains broadly “conservative” but works with the FMLN in the assembly. It won 11 seats in 2015. As for the free-list electoral system, the voter may cast as many votes as the magnitude of the electoral district (which averages six, but is highly variable according to population). In much of my work, I study the process of “personal votes“; I see now that certain of my assumptions could be called into question: that candidates not only “seek” such votes but that they have consented to being candidates. There actually is an item in the Salvadoran press about a candidate who has asked to be de-listed because she did not consent to being a candidate! Of course, another question is just how much do candidates campaign for personal votes? 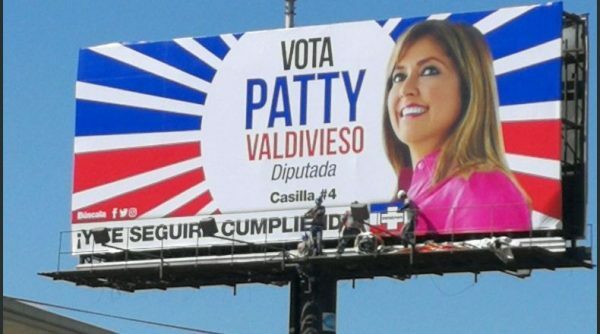 Another item from the Salvadoran press, from late December, showed a campaign billboard for a specific candidate. In this case, the candidate had jumped the gun on the campaign period and was admonished by the electoral authority. So, yes, candidates (at least some) apparently do campaign for personal votes, albeit sometimes too eagerly. Nonconcurrent elections, a post-civil-war party system, free-list PR. Plus, pupusa contests! El Salvador has a lot to hold my interest! * The linked article is incorrect on the electoral system. 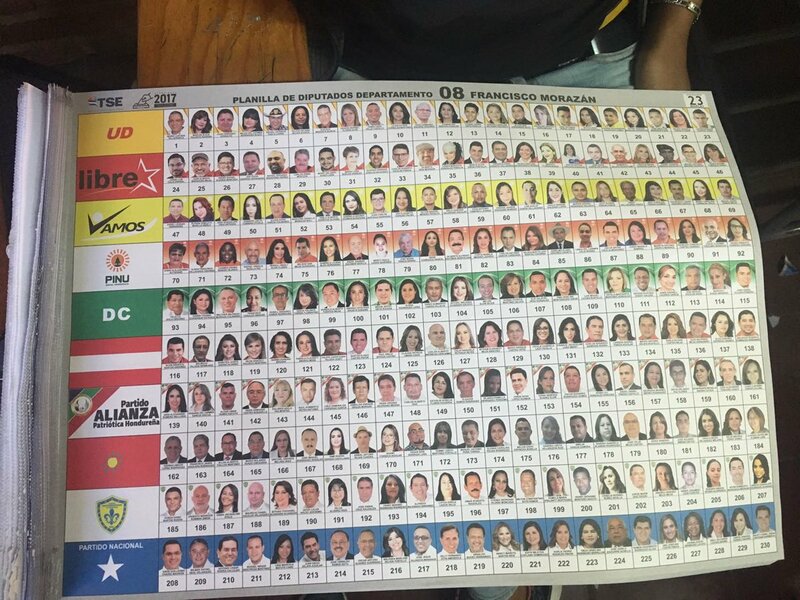 It says that the Salvadoran electoral system has 20 nationwide seats. That was last true for the 2003 election. (The source linked to is from 2013, only a decade after such a system was last used!) There are 84 seats, 14 districts. Honduras has presidential and congressional elections today. I know essentially nothing about the elections except: (1) There is widespread fear they will not be fair, and (2) The congress is elected by free-list PR. It is for the latter reason that I share the following image, which I found on Twitter, posted by Pablo Secchi. 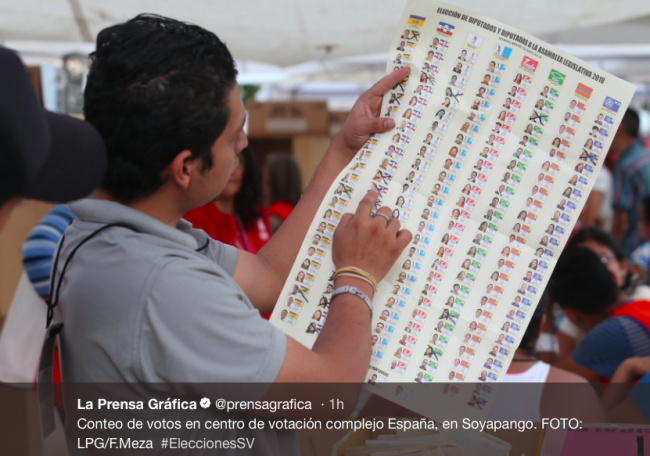 The ballot is similar to that in neighboring El Salvador, which also uses a free list. The voter may cast up to M votes, where M is the district magnitude (number of seats elected from the district). The votes may be cast without regard for party, but each candidate vote is also a vote for the list on which the candidate was nominated. Thus it is a party-list PR system, but one in which voters are free to spread their support across multiple parties. It also means that voters are weighted differently, according to whether they cast all their votes or not. It appears that voters can simply cast a list vote. I believe that doing so is equivalent to casting votes for as many candidates as are nominated on that list (presumably always M). Dominican Republic has abolished its open-list system. Or has it? By resolution adopted by the Junta Central Electoral in 2010 the preference vote was eliminated. It is particularly interesting in that the resolution states that the electoral law does not specify the “modality of voting” and that the adoption of open lists for the 2002 election was a prior resolution of the JCE. I wonder how many countries using PR systems do not specify in their law what the list type can be. The resolution gives as a reason for its decision that the preferential vote has been “traumatic” for the party system. It also states that “primaries” within the parties are sufficient. Thus in the next elections, in May 2016, the DR is supposed to revert to closed-list PR. I can’t name offhand another case that has moved from open lists to closed. Am I forgetting some other case? However, not so fast! While the Constitutional Tribunal upheld the JCE’s ruling in 2013, congress passed a law reestablishing the preferential vote. However, the president may not have signed it, as there is another news article from 2015 that says that the preference vote is under threat, and accuses the PLD (the president’s party) of wanting closed lists in order to cope with its own internal divisions. Thus, at the moment, I don’t think we can say what the system is going to be as of May. So far, the DR has held three elections under open lists: 2002, 2006, and 2010; before that, lists were closed. There were no congressional elections in 2014, because they are resynchronizing them with future presidential elections, starting in 2016. In other words, the congress elected in 2010 was elected for a six-year term; this is also very unusual. Not very many countries have ever had six-year terms for their sole or first chamber, although in this case it is just a one-off. Apparently they need all this time to figure out what the electoral system is going to be! And if anyone can find for me the record of preferential votes for losing as well as winning candidates in 2002 and 2006, I will be grateful. I obtained those from 2010, and I have winners only for the other two years. The JCE’s email address for public information now has “permanent fatal errors”.